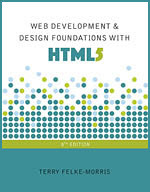 The 9th edition of Web Development & Design Foundations with HTML5 introduces HTML5 and CSS3, web design, page layout, accessiblity, and web standards. 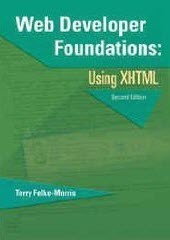 Updates for the 9th edition include introductory sections on new CSS layout techniques -- CSS Flexible Box Layout (Flexbox) and CSS Grid Layout -- and expanded coverage of responsive web design, mobile web design best practices, viewport meta tag, CSS media queries, flexible images, testing mobile display, and CSS3 properties. 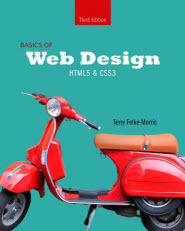 The 5th edition of Basics of Web Design: HTML5 & CSS introduces modern HTML5 and CSS coding techniques, web design, page layout, accessiblity, and web standards. 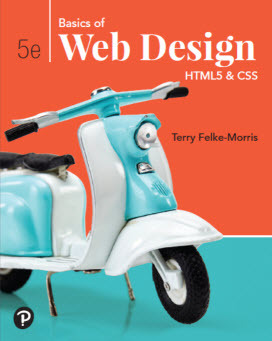 Updates for the 5th edition include a major rewrite and reorganization of the topics in Chapter 8 and a strong emphasis on CSS Flexbox and CSS Grid layout techniques. 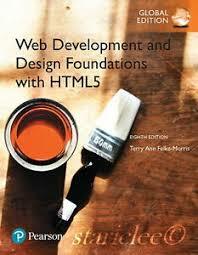 The eighth edition of Web Development & Design Foundations with HTML5 builds on the successful 7th edition! 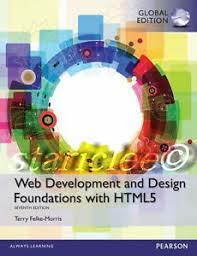 With the widespread support of HTML5, the 8th edition introduces HTML5 structural elements early. 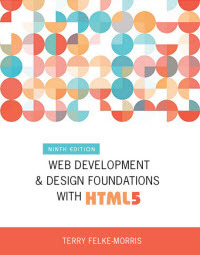 The 8th edition includes additional Hands-On Practice exercises, new and updated case studies, expanded treatment of page layout design, mobile web design, and responsive web design techniques. 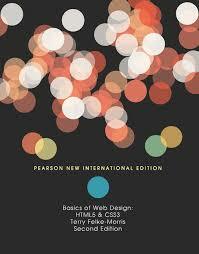 The fourth edition of Basics of Web Design & CSS3 builds on the success of this textbook's earlier editions. 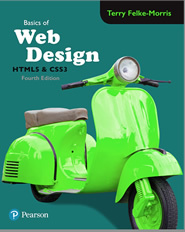 The 4th edition continues to integrate HTML and CSS topics such as text configuration, color configuration, and page layout with an enhanced focus on the topics of design, accessibility, and Web standards. A brief introduction to CSS Flexible Box Layout (Flexbox) is included in an appendix. 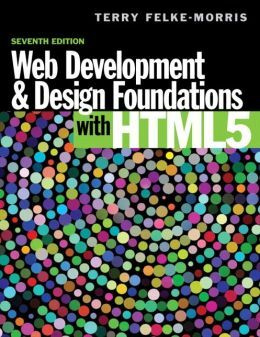 Building on the textbook’s successful 6th edition, the 7th edition of Web Development & Design Foundations with HTML5 introduces HTML5 and CSS3, web design, page layout, accessiblity, and web standards. 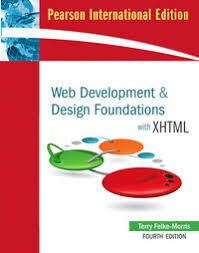 Updates for the 7th edition include an introduction to jQuery and expanded coverage of responsive web design, mobile web design best practices, viewport meta tag, CSS media queries, flexible images, testing mobile display, and CSS3 properties. 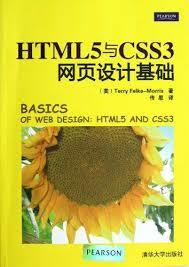 The third edition of Basics of Web Design & CSS3 builds on the success of this textbook's earlier editions. 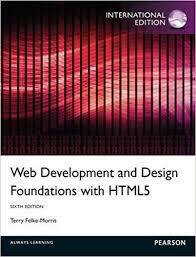 With the widespread support of HTML5, the third edition introduces HTML5 structural elements early (in Chapter 2). Chapter 5 now provides an overview of color theory. 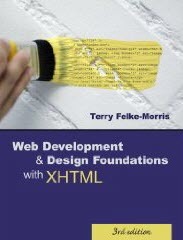 The third edition includes additional Hands-On Practice exercises, new and updated case studies, expanded treatment of page layout design, mobile web design, and responsive web design techniques. 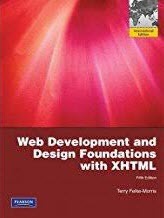 Building on the textbook’s successful 5th edition, the 6th edition of Web Development & Design Foundations with HTML5 features a major update from only XHTML to introducing both HTML5 and XHTML syntax together. This innovative approach prepares students to design web pages that work today in addition to being ready to take advantage of new HTML5 coding techniques of the future. 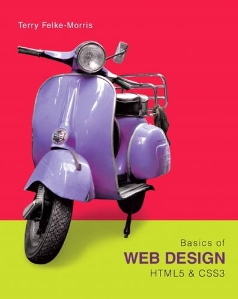 Building on this textbook’s successful first edition, the second edition of Basics of Web Design & CSS3 features a focus on HTML5 instead of introducing both XHTML and HTML5 syntax together. This singular focus is beneficial to individuals new to web design. 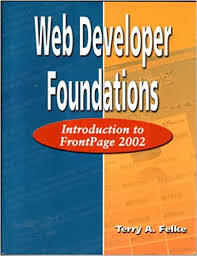 Building on the textbook's successful previous editions, the 5th edition of Web Development & Design Foundations with XHTML features expanded coverage of CSS, expanded coverage of accessibility, expanded coverage of design topics, updated code samples and web resources, updated case studies, a new section on domain name selections, and a new section on styling for the mobile web. 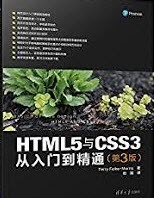 The Basics of Web Design: HTML5 & CSS3 textbook is organized in two-page sections that quickly introduce the reader to new topics, provide examples, and offer hands-on exercises. This approach appeals to today’s multi-tasking, visual learners and should get you up-and-running quickly. Popular features of my previous textbooks are kept, including hands-on practice exercises and a case study. My chapter, "Anytime/Anywhere Online Learning: Does It Remove Barriers for Adult Learners," was published in Online Education and Adult Learning: New Frontiers for Teaching Practices. Even with the convenience of anytime/anywhere online learning, adult learners still encounter barriers and challenges. This chapter explores the growth of online education in higher education and the participation of adult learners. The chapter introduces K. Patricia Cross' research about the situational, dispositional, and institutional barriers faced by adult learners in the 1980s. The relevancy of these barriers to today's adult distance learners is examined. Characteristics of adult learners are discussed. New barriers for learners introduced by online education are explored, including social interaction barriers, technology barriers, student-support barriers, pedagogy barriers, and accessibility barriers. Suggestions for removing and/or reducing these barriers are provided, including providing technical support services, offering online orientations, pre-assessing student readiness, providing professional development opportunities for faculty which model andragogy and online course methodology, and designing online courses to support learning preferences of adult learners. Recommendations are made for future research. Exploring Community College Student Perceptions of Online Learning describes my dissertation research and was published in The International Journal of Instructional Technology & Distance Learning. Successful completion of online courses by community college students is an issue both at the national and local level. The purpose of this qualitative study was to explore community college student perceptions of online learning within the theoretical construct of the Community of Inquiry (CoI) model, which describes the manner in which the elements of social presence, teaching presence, and cognitive presence interact to create an educational experience. An online questionnaire, interviews, and artifact reviews were employed in the study. Interpretive analysis was utilized to identify themes and provide insights into student perceptions of satisfaction and success with online learning. The findings of the study revealed aspects of community college student perceptions about online courses, related these perceptions to the social presence, teaching presence, and cognitive presence components of the Community of Inquiry model, and provided examples of successful instructional design and course facilitation techniques utilized in the online courses. The study findings provided insights about student perceptions related to communication and interaction, isolation, preferred course activities, and the positive impact of prompt and helpful instructor feedback. 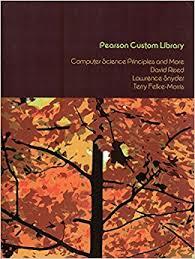 Recommendations for practical applications by instructional designers and instructors are provided.